Choosing a high school is a big decision! There are so many factors to consider, such as: Where will I fit in? Which school will challenge me to succeed? Where can I best prepare for my future academically, physically, spiritually, and socially? We think the answers to those questions could be Holy Cross High School! However, we don’t just want to tell you we’re the best; we want to show you! We have planned several activities through the year to give you plenty of opportunities to see what Holy Cross could offer you and your family. 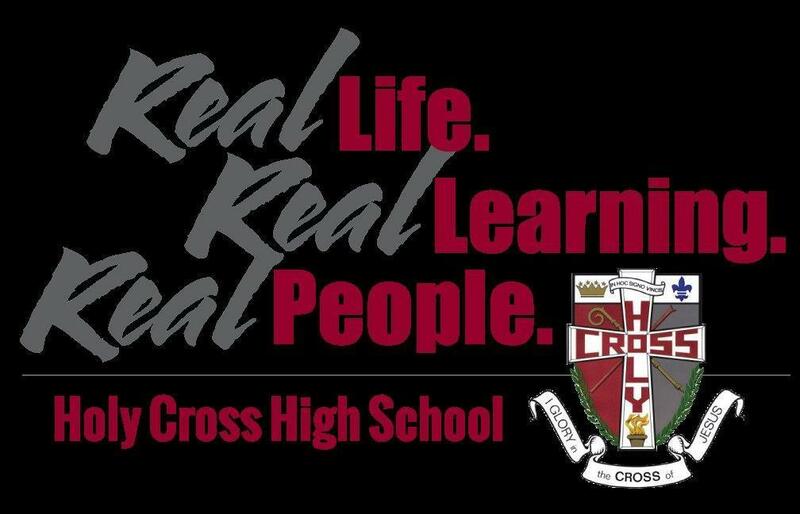 Through grade school events, shadowing, information sessions, science days, lock-ins, and Open House, we attempt to show you all Holy Cross has to offer. We think our school is full of the most supportive, caring, and involved staff, faculty, and students, making it the best place to develop the skills you’ll need for your future! Two of our biggest assets are that we are small and co-ed. We see these as advantages because, as a Holy Cross student has said, we do not just offer you a sisterhood or a brotherhood: we offer you a family. That family feel is reinforced in countless ways by our student body and student life. It is within your family that you can truly grow, learn, and succeed. Some say high school will be the best four years of your life. This can be true, but only if you choose the best high school for you. Holy Cross is the best place to develop skills and relationships that will stay with you long after you graduate. We believe we offer you, not just an incredible four year experience, but a for-life experience, as well. We look forward to meeting you and showing you all we have to offer!